On behalf of the Board of Directors, I am pleased to announce that Jennifer Doty has been chosen as the CEO of Sidney Health Center effective June 1, 2018. Her years of experience and knowledge working as a senior executive in healthcare will be instrumental in guiding the future of Sidney Health Center. 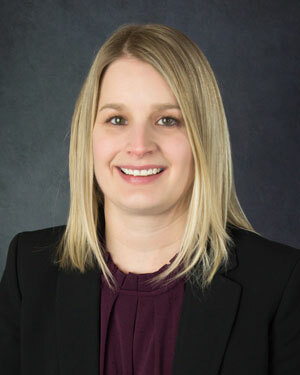 Jennifer started her healthcare career in 2002 with Good Samaritan Society as the Director of Senior and Assisted Living at Heritage Grove in East Grand Forks, MN. During her tenure, she provided the overall leadership for operations in regards to business, facilities and financial management with a focus on resident/family satisfaction. In 2007, she accepted the role at Sidney Health Center as the Senior Executive, Physician Services. In this role, Jennifer has provided senior leadership and management of the specialty and primary care practices, which is comprised of 22 physicians and 10 advanced practice providers. Highlights through the years include overseeing the $3M construction project of the Cancer Care services, leading the clinic through the electronic medical record conversion, increasing clinic visit accessibility by establishing a walk-in clinic, and recruiting numerous medical providers. Jennifer graduated from Concordia College in Moorhead, MN with a Bachelor of Arts in Healthcare Administration in 2001 and went onto get her Masters in Healthcare Administration at Montana State University in Billings in 2013. Other certifications include being a Licensed Nursing Home Administrator through the Montana Board of Nursing Home Administrators as well as a Certified Healthcare Financial Professional through the Healthcare Financial Management Association.